Living with chronic illness is stressful. These types of conditions are often unpredictable and require a lot of changes to how you live your life, work, and interact with your loved ones. But it’s more than that. The simple act of being can be challenging as pain, fatigue, nausea, and other symptoms accompany your every breath. In everyday speech, the word meditation can mean a number of different things. People might use it to describe daydreaming on a park bench or thinking deeply about a particular issue. However, the actual act of meditation is something very different. 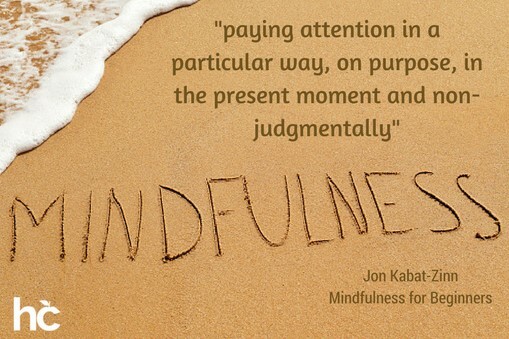 It is a practice of concentrating in a quiet way, focusing on the present moment. The goal of meditating is to reduce stress, help you relax, and foster personal or spiritual growth. There are a variety of traditions and techniques for meditation. Mindfulness-based meditation is commonly used in group and individual practice by people with chronic illness and other medical conditions. It is particularly well known for helping people in those communities deal with the stress involved in living with health challenges. Including meditation in your coping toolbox can help you live better with chronic illness, both physically and emotionally. It sounds simple, but as many simple things go, it can get a bit tricky. Although your physical self might be comfortable and still, your brain is likely to be racing. That’s normal — even the most experienced practitioners of meditation have thoughts galloping around in their mind when they meditate. The key is to not engage with the thoughts, just watch them pass by. That takes practice, but if you find yourself getting sidetracked by thinking about your grocery list or the stressful meeting with your boss earlier in the day, let them go and return to sitting quietly. It’s usually recommended that you meditate 20 minutes a day, but many people find that a bit daunting to begin with. Start with five minutes and work your way up as you are comfortable. Meditation and mindfulness can be very valuable additions to your toolbox of coping techniques and can help you live better with chronic illness. Whether you follow mindfulness-based techniques or other types of meditations probably doesn’t matter. What’s important is the practice of focusing inward to reduce stress, pain, and depression.